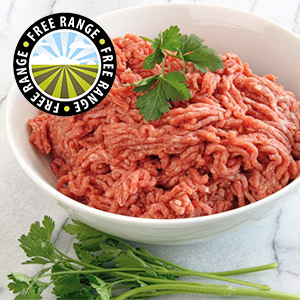 The Terms and Conditions (together with the documents expressly referred to in it) tells you information about us and the legal terms and conditions (Terms) on which we sell any of the products (Products) listed on our website www.musclefood.com our site) to you. 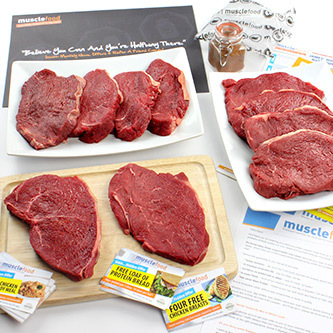 We operate the Muscle Food website www.musclefood.com . 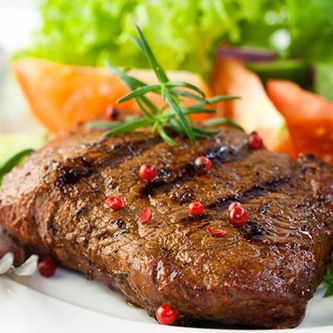 We are Muscle Food Limited, a company a company registered in England and Wales under company number 08033275 and with our registered office at 23-25 Park Lane Business Centre, Park Lane, Nottingham, NG6 0DW. Although we have made every effort to be as accurate as possible, because our Products are made to order, all sizes, weights, capacities, dimensions and measurements indicated on our site have a 5% tolerance. Certain Products on our site, such as alcohol, can only be purchased if you are at least 18 years old and supplements. We are not allowed by law to supply these Products to you if you do not satisfy these age requirements. If you are underage, please do not attempt to order these Products through our site. After you place an order, you will receive an e-mail from us acknowledging that we have received your pending order. However, please note that this does not mean that your order has been accepted. Our acceptance of your order will take place as described in clause 6.4. IF GOODS ARE NOT FIT FOR CONSUMPTION ON RECEIPT OF DELIVERY PLEASE CONTACT US IMMEDIATELY. YOU MUST NOT CONSUME A PRODUCT THAT YOU BELIEVE IS NOT AT THE RIGHT TEMPERATURE (OVER 8 DEGREES CELSIUS – FOODS STANDARDS AGENCY REGULATION 852/2004 AMMENDED 2006) OR IS NOT FIT FOR CONSUMPTION. IF YOU HAVE ANY DOUBTS, DO NOT ATTEMPT TO CONSUME THE PRODUCT AND CONTACT US IMMEDIATELY. WE WILL ENDEAVOUR TO REPLY QUICKLY BUT IF THE REPLY IS DELAYED – DO NOT CONSUME THE PRODUCT. As a consumer, you have legal rights in relation to Products that are faulty or not as described. Advice about your legal rights is available from your local Citizens' Advice Bureau or Trading Standards office. We reserve the right to withdraw or cancel promotional items, special offers or voucher codes, at any time for any reason without notice. All offers are subject to availability and while stocks last. 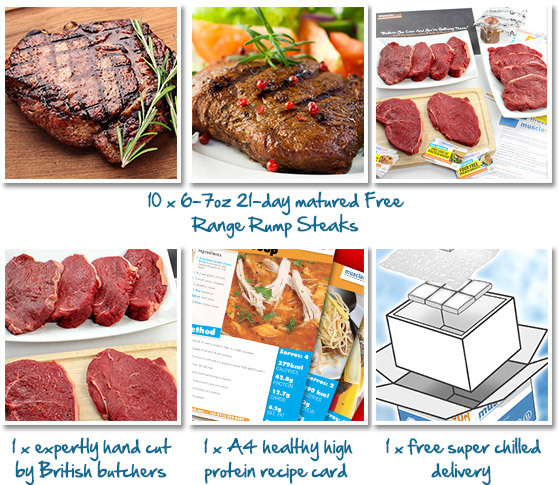 Free delivery is available for all orders over £75 after all discounts, promotional codes and offers have been applied. Delivery of the Goods shall be made to the Buyer’s address specified in the order and the Buyer shall make all arrangements necessary to take delivery of the Goods whenever they are tendered for delivery. It is the Buyer’s responsibility to check ALL order confirmations prior to the order being dispatched. The price of a Product does not include delivery charges. Our delivery charges are as quoted on our site from time to time. The delivery charges are £3.95-£4.95 per order. Payment for the Products and all applicable delivery charges is in advance. We will not charge your debit card, credit card or other payment method until 24 hours prior to the dispatch date. Except as may be implied by law, in the event of any breach of these Terms and Conditions by the us, our liability is limited to the value of the Products and/or Services we supplied. Under no circumstances shall we be liable for any indirect, incidental or consequential loss or damage whatsoever. Subject to clause 15.2 and clause 15.3 , our total liability to you in respect of all other losses arising under or in connection with the Contract, whether in contract, tort (including negligence), breach of statutory duty, or otherwise, shall in no circumstances exceed 100% of the price of the Products. (a)	To cancel a Contract in accordance with clause 8, please contact our Customer Services telephone line or e-mail us at [email protected] You may wish to keep a copy of your cancellation notification for your own records. If you send us your cancellation notice by e-mail or by post, then your cancellation is effective from the date we received your e-mail or letter. If you call us to notify us of your cancellation, then your cancellation is effective from the date you telephone us and talk to us. 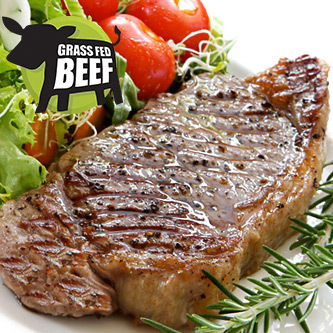 (b)	If you wish to contact us in writing for any other reason, you can send this to us by e-mail or by post to Muscle Food Ltd at 23-25 Park Lane Business Centre, Park Lane, Nottingham, England, NG6 0DW. You can always contact us using our Customer Services telephone line. If we have to contact you or give you notice in writing, we will do so by e-mail, phone or by post to the address you provide to us in your order. (a)	Any notice or other communication given by you to us, or by us to you, under or in connection with the Contract shall be in writing and shall be delivered personally, sent by pre-paid first class post or other next working day delivery service, e-mail, or posted on our site. (b)	A notice or other communication shall be deemed to have been received: if delivered personally, when left at our registered office; if sent by pre-paid first class post or other next working day delivery service, at 9.00 am on the second business day after posting; if sent by e-mail, one business day after transmission; or, if posted on our site, immediately. (c)	In proving the service of any notice, it will be sufficient to prove, in the case of a letter, that such letter was properly addressed, stamped and placed in the post and, in the case of an e-mail, that such e-mail was sent to the specified e-mail address of the addressee. 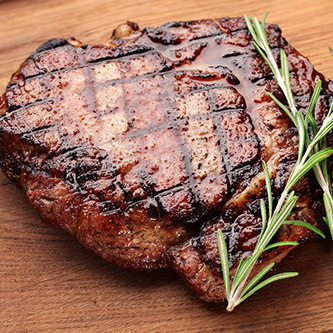 You must also read our: Nutritional Information Disclaimer. DO NOT CONSUME A PRODUCT IF YOU HAVE ANY DOUBTS OF WHETHER THE PRODUCT IS FIT FOR CONSUMPTION. CONTACT US IMMEDIATELY WITHOUT ATTEMPTING TO CONSUME THE PRODUCT. 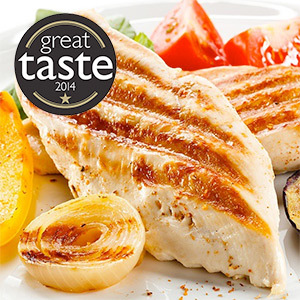 Unbelievably juicy, succulent and downright tasty, our barn-reared, extra lean 2014 Great Taste Award winning Chicken Breast Fillets are a fridge must have! 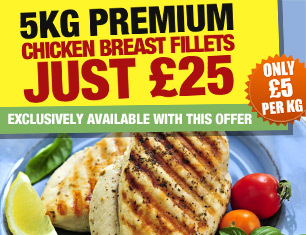 You will receive 10-12 chicken breasts weighing nearly double of a typical supermarket 125g chicken breast. 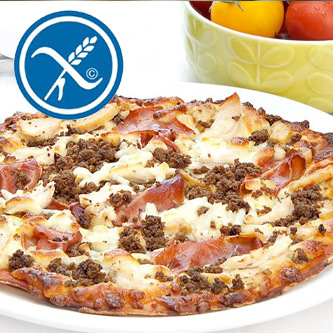 High Protein, Low Carb & Gluten Free Pizza, loaded with chicken, beef & ham! Each delicious pizza has an authentic stone baked base. 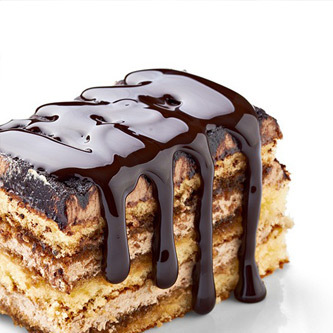 Sugar FREE, fat FREE and 100% delicious, our EXCLUSIVE guilt free Chocolate Fudge syrup is perfect for adding a little sweetness to your clean diet! 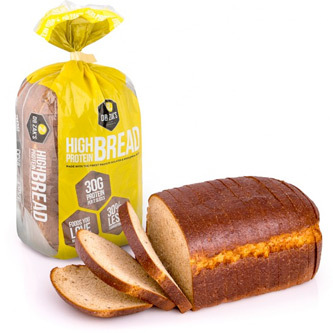 Freshly baked in Britain using British Wholemeal flour and providing a whopping 30.4g of protein per serving (2 slices) - massive 14 slices per loaf and just over £3.00 each.